Trent Reznor is a God when it comes to doing what others don’t understand, pass-off as crazy, and then later praise to the heavens. Year Zero was without a doubt one of the most ambitious, cross-channel, engaging, interactive marketing concepts ever. User participation reached staggering levels and it’s difficult to see how it can ever be topped. Well Reznor has done it again. 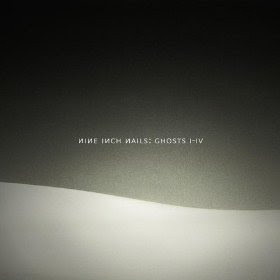 Last year Nine Inch Nails’ released Ghosts I-IV, an album that they put out for free under a Creative Commons license. As it turns out, Ghosts I-IV went on to become the best-selling MP3 album on Amazon in 2008. With sales of more than $1.6 million in its first week, a #1 slot on the Billboard charts, and becoming the Last.fm 4th most listened to album of the year, Ghosts I-IV has done it all.